He’s talented, he’s prolific, he’s dreamy (this is coming from a straight man, mind you). 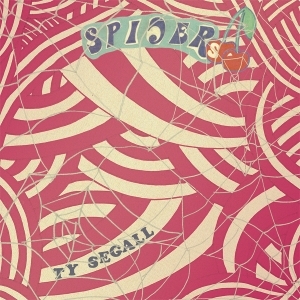 Ty Segall‘s new 7″ single Spiders is a nine-minute fuzz-covered alarm clock buzzer rousing anyone subdued by last summer’s polished (for him) Goodbye Bread. The opening title track is a mid-tempo headbanger that will give concertgoers a chance to catch their breaths and wonder why the sweaty, shirtless guy only starts rhythmically shoving during the slower numbers. It’s a distortion contest between Segall’s guitar and vocals, respectively chugging and screeching like a poorly maintained BART train’s stop/start journey through the Transbay Tube. “Hand Glams” is a driving, danceable ditty for about forty seconds before our conductor hits the emergency brake. Then the drumsticks channel King Kong beating his chest and the distortion contest morphs into an airplane onslaught. The closer is an engaging cover of The Groundhogs‘ “Cherry Red,” a song old enough to be a virgin in a Judd Apatow movie. It manages to be grimier and more compact than the source material while still remaining faithful, but creating dirty little gems inspired by garage rock elders seems to be Segall’s M.O., along with giving us concert ear without leaving home.